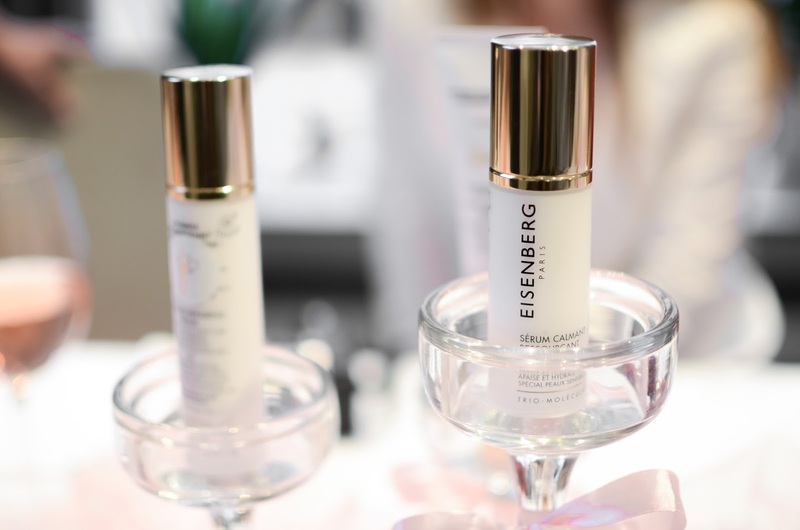 Eisenberg has taken upon a new challenge by offering innovative and specific solutions for sensitive skin to make it feel comfortable, protected and calm all year round. • Sensitive skin features: The skin can be sensitive since birth, or may become more fragile with time. Skin reactions can be interpreted as discomfort - skin itching, tingling, carding, singeing feeling or even redness. • What aggravates skin sensitivity? One of the things is a regular or punctual incorrect or strong skin care and hygiene, as well as makeup use. Also peeling or laser procedures can damage your skin and make it respond intensely. But the number 1. enemy is the weather, or more precisely the rapid changes in the air temperature. Extreme temperature fluctuations contribute to capillary blood vessel expansions and contractions, the vessels can permanently expand or even burst. Did you know that skin metabolism reacts to climate changes in its deep layers? That's why sensitive skin reactions to cold, wind, snow, sun and heat is more visible - more or less intense redness mostly on the cheeks, cobweb-like filaments on the cheeks and on the nose and in the worst cases pink pimples with many small spots. If your skin is very sensitive even spicy foods or alcohol can cause redness. The good news is that with a purposeful, simple yet effective skin care ritual we can prevent it. This sensitive skin line has a special formula that is designed for sensitive, delicate and fragile skin that needs a gentle and regenerating skin care products that are hypoallergenic, contain no parabens, dyes and fragrances. The main ingredient in this formula is the extract of Raspberry leaf stem cells. This extract has an excellent anti-oxidant, anti-inflammatory and DNS protective properties. Besides it the other main components are: Boswellia Serrata, Sesame, Jojoba, Avocado and Sweet Almond oils, pure Shea Butter, E and C vitamins and Bisabolol. 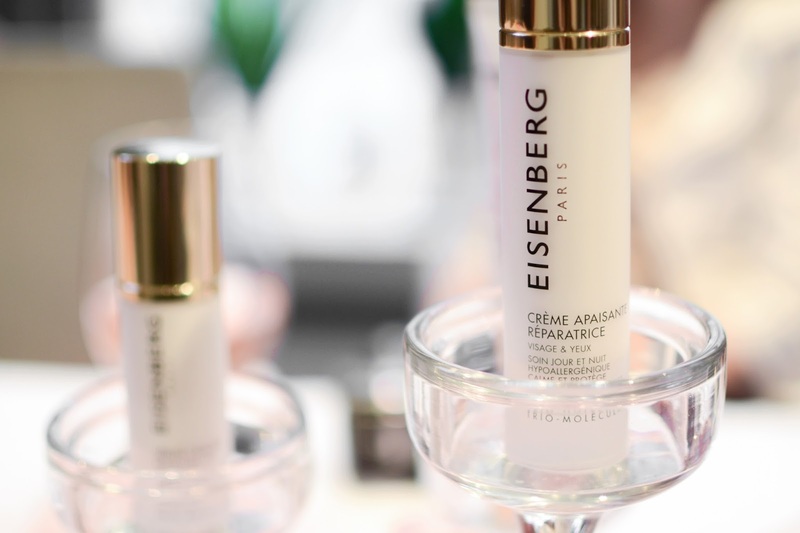 And of course as all Eisenberg products, these are no exception, they also have the Trio-Molecular formula. 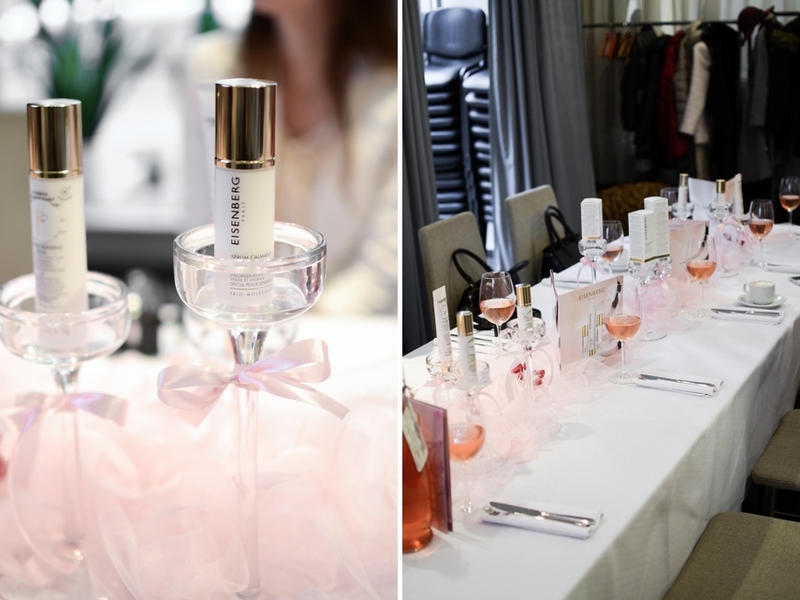 The line consists of three products: a serum, face mask and cream. 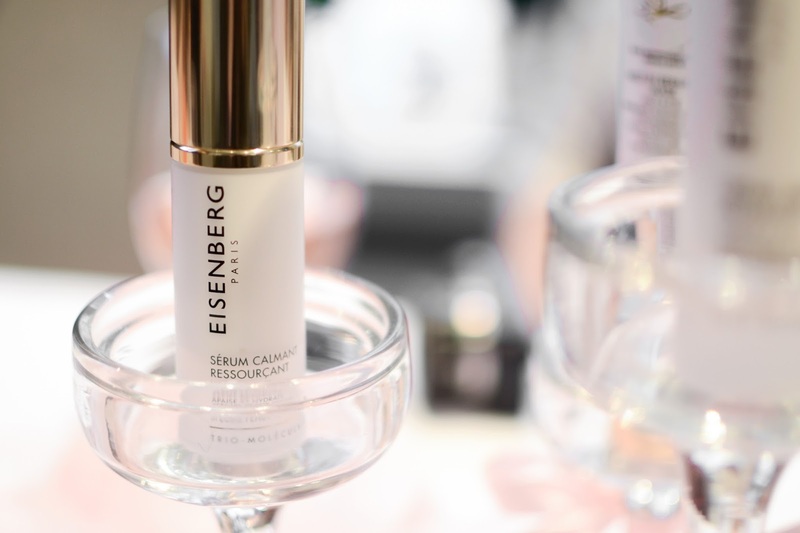 The first step of the ritual for sensitive skin, this delicate serum intensely soothes, hydrates and procures anti-oxidising and anti-inflammatory benefits thanks to its highly innovative formula. Recommended Use: Morning and/or evening, to a cleansed face, eye contour and neck. Follow with Soothing Repairing Cream or Melt-in Repairing Mask. A cream mask with a soft melt-in texture for instant soothing and repairing benefits. Masks ingredients ensure an anti-age, regenerating, hydrating and calming action. Recommended Use: Once to twice a week, apply a generous layer to the cleansed face, eye contour, neck and bustline. Leave on 15-20 minutes and rinse-off or leave on as a sleeping mask, or apply as a 15-day regenerating treatment, at night. 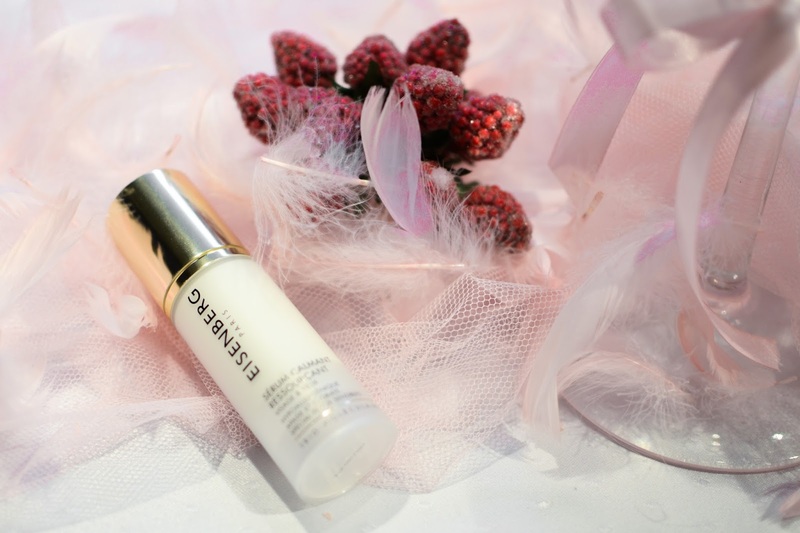 A soft and delicate cream that moisturises, protects, rapidly calms, minimises redness and evens skin tone. It repairs the damage caused by external aggressions. Recommended Use: Morning and/or evening, to a cleansed face, eye contour and neck. Apply alone or on top of Comforting Calming Serum. We all left the presentation with a generous goody bag containing the melt-in repairing face mask and soothing repairing cream. I really can't wait to test them out, because so far everything that I've tried from Eisenberg I have truly loved and enjoyed using. 1 comment on "EISENBERG PARIS SOLUTION FOR SENSITIVE SKIN"